Applebee's is a company, which deals in restaurant chain and it develop, operates as well as franchises restaurant chain. It offers casual dining set up in its chain of restaurants located at different locations and headquarters situated at in Lenexa, Kansas. It serves many American dishes including shrimp, salads, pasta, and chicken coupled with alcoholic drinks at its featured bar area in all the restaurants operated by the company. The restaurant chain opens late at night and offer take back lunch offer, in which customers can select from different items, included in the menu and can take back the lunch to their home. There are currently 27 consumer reviews about Applebees available. Share your review. We support the Houston Applebee manager who called the Sheriffs Office about ferral kids running amok in the restaurant. Rugrats like that ruin a quiet evening out for everyone else. We recently were in Summersville Ohio. We ate twice in one weekend. So Thursday was pretty good except the one male employee who didn't want to clean the bathrooms let it be known already punched out! Next we were this Sunday night Sept 1st and being a holiday weekend it was very busy. But first treated asking for ID I'm almost fifty. Alittle much then bartender (Amy B.name on receipt) was nasty. she needs attitude adjustment. At one people were waiting to be seated they were taking names and the manager and employee eating their meals at a big table of six.Those people are completely out of control. Two woman were fighting about tables. They need help there. not too organized and professional. Very disappointed. Evening of July 30th my friend took out of town guests and local family and my self to the Pocatello Idaho Applebee's for dinner. There was 12 in our party. Applebee's doesn't let you do reservations. Then they complain or make excuses that they were short handed in the kitchen. 10 of us arrived at 6:20. We were seated and our server took our order for drinks and appetizers . The other two guests arrived as the server walked away. None of us got our drinks or the new arrivals their drink order taken for over a half hour. While our waiter struggled to please a upset customer (no Manager to take care of this matter couldn't find her) when we caught his attention he took the order for the late arrivals and all our food orders. We waited until 8:10 before a manager ever appeared to help, with excuses all ready. I felt so sorry for our waiter it was totally the kitchen and the managers fault . We should have left and eaten somewhere else 2 hours into our meal with small children we got our food . No refills on drinks were offered and everyone who had came in during this two hour event had been served and had left. Manager blamed the server! how could he serve food the kitchen never cooked. We spent $179 for the worst appleebee experience ever. Think we will ever take out of town guests there again? Beat not! will we spread the work about this experience you beat we will. As a retired Food service worker and manager I feel the manager on duty let the ball drop and throw the poor waiter under the bus. where was she when the first upset customer need taken care of? The Applebee's in Irving, Texas gets worse everyday. Staff is unprofessional and rude. I will never go there again. It has turned into a hangout for drunken and over served individuals and I am contacting the alcohol commission. Not a family place and they like it that way. If you like to eat at Applebees and like a salad you can no longer get thousand island dressing. So if you want it on your salad you better take it with you. Never heard of any place that I dine not having it in 66 years. Just thought you should know. Applebee's in Ft Smith, AR use to be my favorite place to eat. The last few times I've eaten there the food is just awful. It's always luke warm and best and never looks like the picture that is presented on the menu or on the tv ads. Saturday night, tried one of the new menu items (4 oz sirloin and wedge salad with potatoes) I was thinking that the potaotes would be hot, they were not. Thought it was bacon on the salad, not sure what it was. Just awful. Would have sent it back but was going to the movies and didn't have the time. And really, should you have to send your food back for it to come hot. Applebee's french fries use to be the best in town. But, once again they always come cold!! Nasty!!! 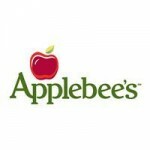 Please take a note that you are about to post a public review about Applebees corporate office on CorporateOffice.com. This review will be public, so please do not post any of your personal information on this website. If you would like to contact the corporate offices of Applebees, please use their contact information such as their phone number, website, and address listed above to contact them. However, sometimes staff from Applebees headquarters do read the reviews on this website.